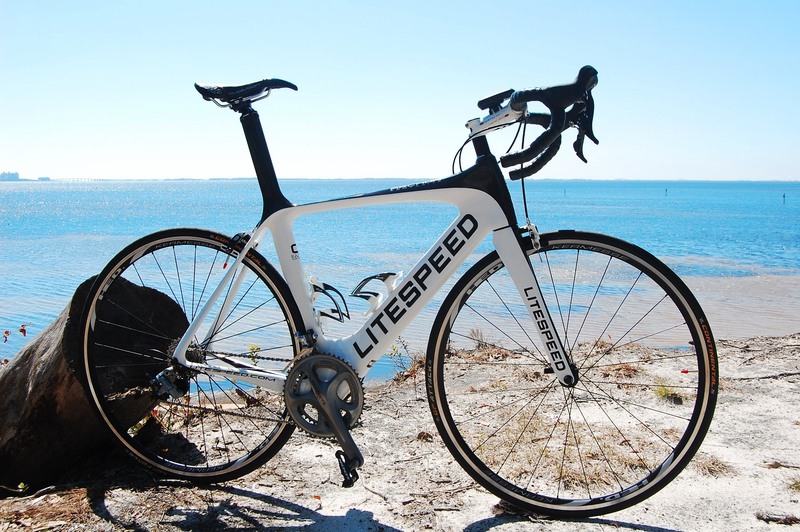 Goals: The ultimate aero road bike for a 200-250 pound rider. 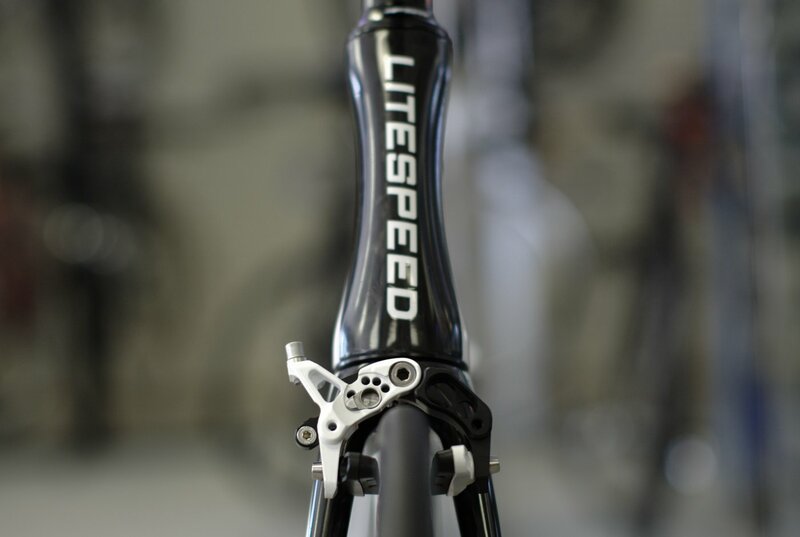 The Felt AR frames have been ushering in a new era of road bikes for some time, but now Litespeed has thrown its hat in the ring. With the introduction of the C1, C2 and C3 frames a whole new world of possibilities has been opened. 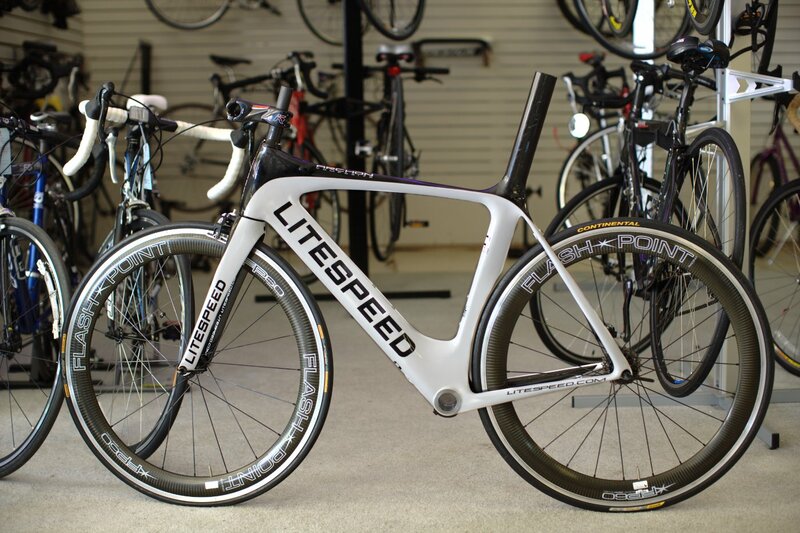 Tipping in at 2.62 pounds for a ML frame this bike comes to compete. Internal cable routing, massive bottom bracket shell, cut to length seatpost tube, help to round out this awesome machine. From the factory the C1 Archon has a BB30 bottom bracket. This can be converted to be used with just about any crank with a special adapter. 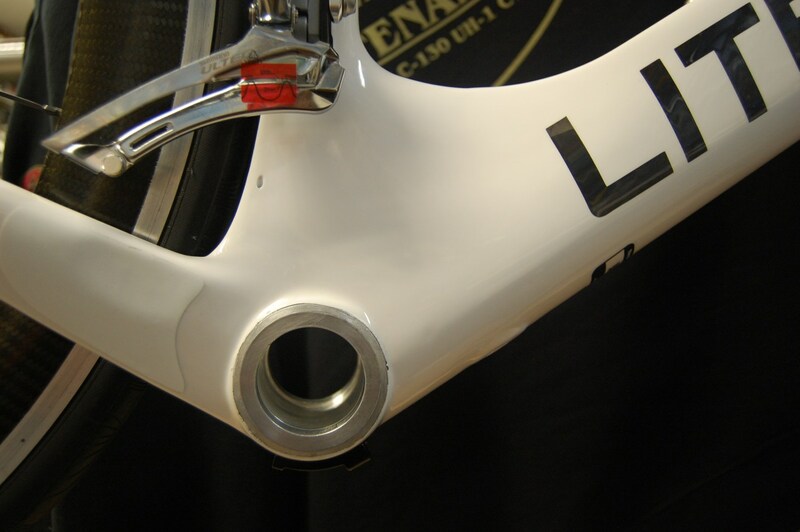 Custom Ciamillo GSL brakes complete the look. The white and black design make it see as though they were built with the C1 in mind. Ask yourself what do I want from my next bicycle? I did and this is what I got: a light weight, stiff, smooth ride and eye catching. The Archon has a few other features that are usually left for your high end car lines: curves and the ability to look fast even when standing still! NO, all of the things will not make me a stronger, faster cyclist, but the desire to ride more is what I have gotten from the Archon. After 30 years of cycling, this is the first machine that I look forward to riding from sun up to sun down. See you on the road!